invites parents and teens to start a conversation NOW! In this 2019 Community Report we have worked to disaggregate the data to ensure that we are not hiding any issues through the use of averages. This will help the community use the data more intentionally, targeting areas or populations that are in most need. This data-informed approach will move us from one-size-fits-all attempts to address issues (equality) to needs-based strategies (equity). That is, collaboratively focusing on small sub-populations across the school, county, and community will allow us to leverage common messages and services in a tailored manner to those in most need. Join us for an evening of talking, listening & working together. 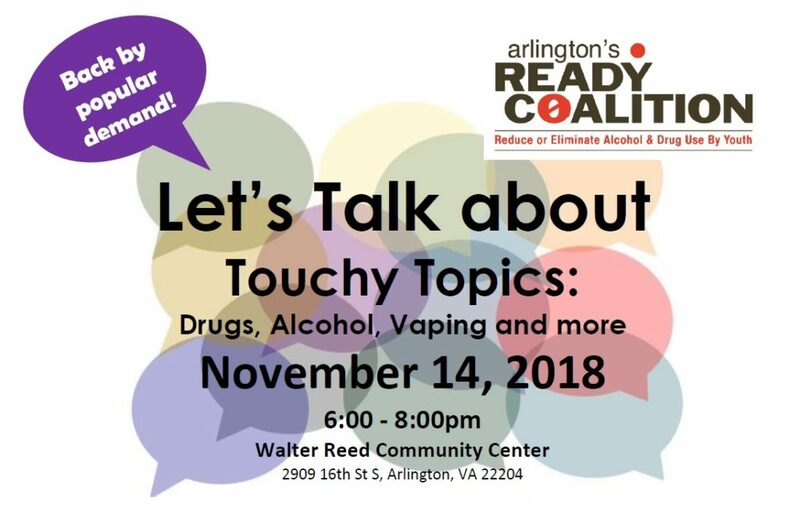 Learn & practice having meaningful conversations about drugs, alcohol & vaping. Who Should Attend? EVERYONE from ANY SCHOOL! Middle and High School Families! 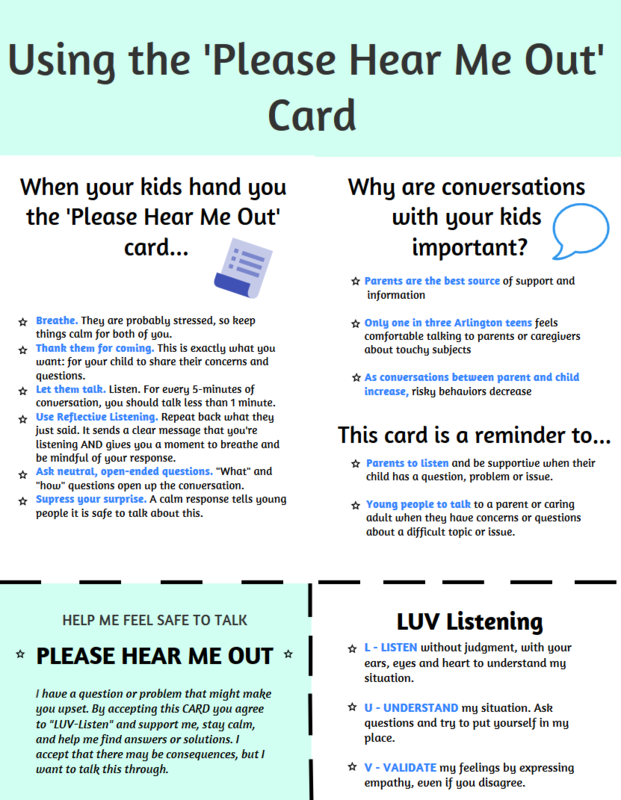 We want to bring together parents, caregivers, teachers, students, all other interested adults and youth to gain some tips about having these conversations. REGISTER TODAY! Summer screen time doesn’t have to be summer SCREAM time! Summer is a time when kids look forward to relaxed schedules, no homework nor projects, and getting to just chill and do nothing. Or play Fortnite. Or scroll through Instagram. For hours. While that can be fun for them, the Partnership also wants to encourage families to get children outside and active. Data from our youth surveys indicate that youth spend 3+ hours on screens during the school year. We’d bet that amount increases over the summer. We also know that youth are becoming less active and more isolated. How do parents support their kids’ interests (like Fortnite or connecting with friends on social media) while also encouraging them to go outside, connect with others in person, and be active? Without screaming? Three words: Goals. Responsibilities. Limits. Goals: For some kids, this might imply work. But a goal for them can be something they want to try. What is are some activities or local places they might want to explore? Who are some friends they’d like to meet up with? 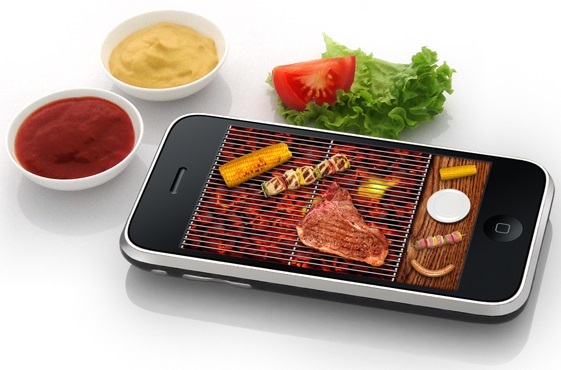 This Tech Talk Tuesday article offers some ways to help kids set goals for the summer. Responsibilities: Summer is a great time for our kids to take on additional responsibilities at home. They can contribute around the house in ways large and small. Sweeping floors, folding laundry, wiping up the bathroom, preparing a meal or two each week. Give them a roles in the household to help build their sense of independence and responsibility. Which happens to be an important factor for successful employment. Check out this Ted Talk by Julie Lythcott-Haims. It can also help with the next part. Limits: Yes, you can set limits on the amount of time your children are on their devices!! Kids may argue. Ok, some will fight like a wild horse. But part of our job as parents is to set expectations for them. In fact, children of all ages crave structure (though they never admit it to you!). 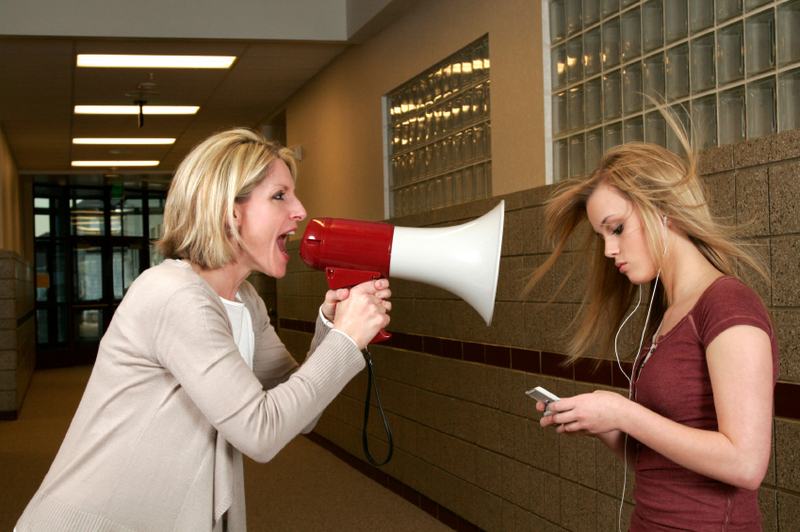 A group of actual teens suggested this advice for parents: “When you make rules, don’t cave-in when we argue with you! Be ready to compromise, but don’t just give up.” So set limits! On when (no screens between 10p and 10a), where (no screens at meals, in the bedroom, or in the car). Use timers. Be sure to also define when they CAN be on a device. Maybe after doing a Summer Screentime Checklist, courtesy of wunder-mom.com. It asks kids to complete some basic chores, but also to “create something” and “play outside”. Netsmartz.org – offers video tutorials on online security and more. Commonsensemedia.org – is a go-to site for movies and games, but also provides a variety of ideas, resources and information for parents and children on healthy screen use. 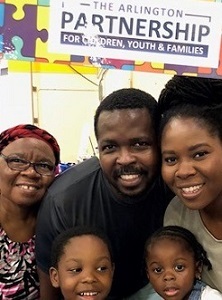 Healthychildren.org – created by the American Academy of Pediatrics, this site gives families an online use calculator and media consumption plan. and just for fun the Holderness Family! The Arlington Out of School Time (OST) Council invites you to share your knowledge, skills, and ideas with OST staff (people who run afterschool programs) by offering a workshop at the 2018 OST Asset Conference. As in the previous 6 conferences, our goal is to offer a wide variety of workshops for a staff audience who have varied levels of experience and education. The conference theme is We Are OST! and focuses on skills, attitudes, strategies, and activity ideas that staff can incorporate and implement in their programs throughout the year. 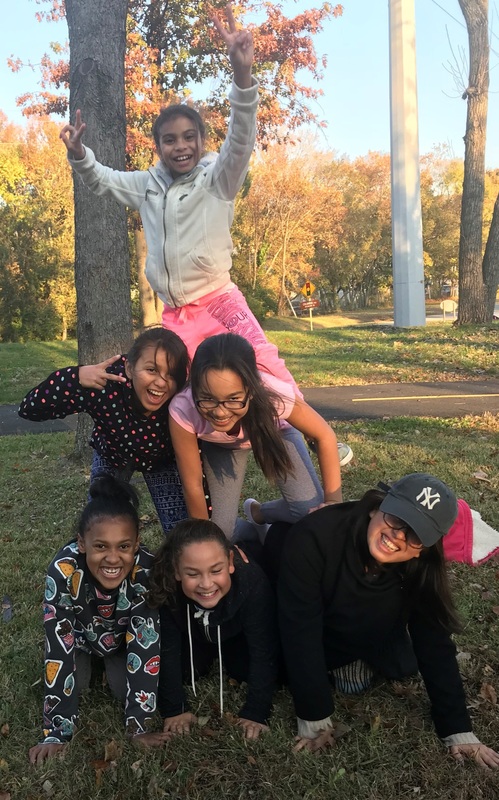 Arlington OST programs are committed to providing stimulating program activities, a safe and supportive environment, and dedicated staff who build strong, Developmental Relationships® with young people. thoughtful sessions to build the skills and knowledge base of OST professionals, as supervisors, peer mentors, or youth leaders. Click here to learn about and propose a WORKSHOP. We welcome any and all workshop ideas! This year we would also welcome workshops that focus specifically on aspects of staff leadership (for frontline staff and supervisors) and behavior management. 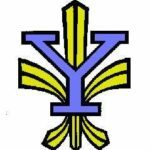 Share your knowledge with the world (starting in our community)! If you would like to discuss ideas for a workshop or panel, or want more information about Developmental Assets® or Developmental Relationships®, contact Michael Swisher or 703-228-1671. Kids need adults in their lives. We know that. Kids know that. Fortunately for Arlington, many adults go out of their way to support young people either through close mentoring relationships, or by providing incredible opportunities for youth. The Arlington Partnership for Children, Youth and Families (APCYF) would like to introduce 5 individuals and 2 teams who have been selected as Champions for kids in 2018. 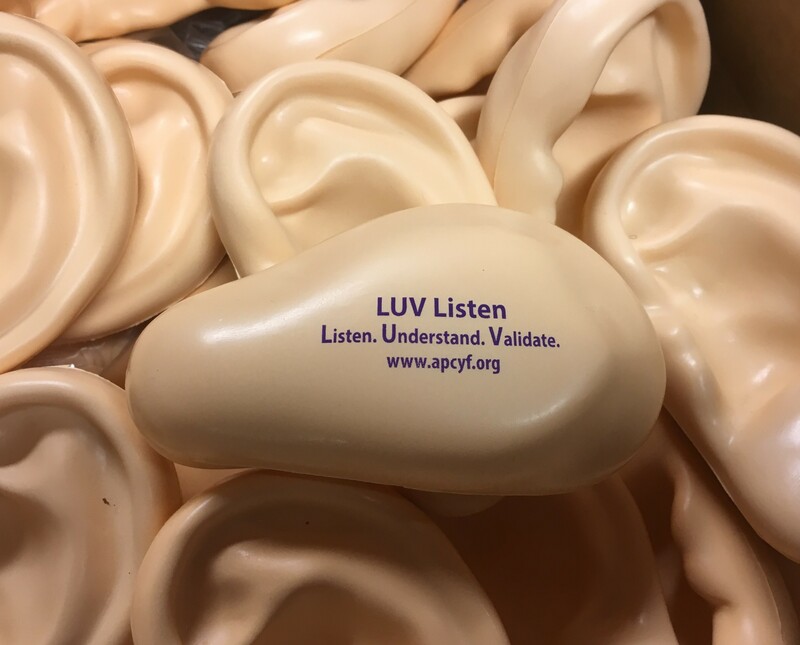 Since 2004, APCYF has recognized 114 Connect With Kids Champions – adults who build caring, supportive relationships with young people. This year there is a new award – Do For Kids Champions – to recognize committed people who work behind the scenes to support young people’s growth and development. We wish to congratulate the 2018 Champions! PVTC, an all -year training program for young athletes in competitions such as running, walking, jumping and throwing, is c hanging young peoples’ lives by teaching students values of hard work, practice, setting goals, helping one another, and building relationships with mentors. Along the way, young athletes also learn about nutrition, posture, balance, strength, flexibility. PVTC creates an environment that is family-oriented and focused on helping youth mature as athletes and as people. 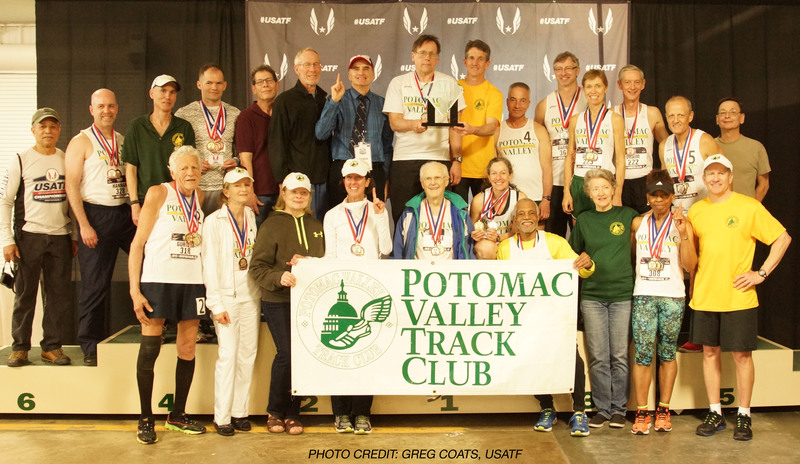 The organization is volunteer-driven by a multitude of excellent local and highly competitive athletes of all generations, including “ancient seniors” in their 80’s and 90’s – proving to young athletes that running can be a lifetime sport, if nurtured well! 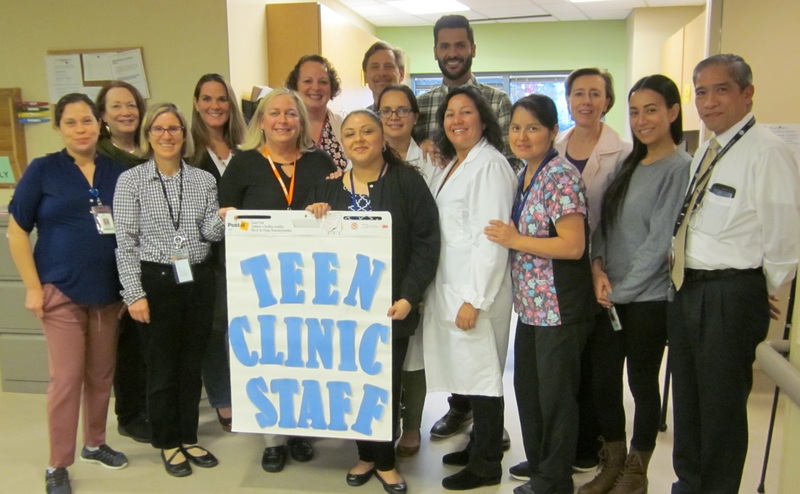 The Arlington Teen Clinic serves approximately 350 teens, both males and females of all sexual orientations, providing testing for STD’s, HIV and pregnancy, providing provisions for contraceptives, counseling in making healthy choices in their relationships, reproductive health care, and support as a confidential counsel in questions they would not otherwise ask a parent, family or friends. One great example of this is a teen who called in to the clinic and described a sexual assault her friend encountered under the influence with a few men. Because of the caring response by clinic team, the teen decided to actually come into the clinic. The nurse of the day patiently went through every scenario from Emergency Contraception, Sexual Assault Info, and possible HIV exposure, to what the Teen Health Services Clinic could provide and found ways to ensure a ‘warm handoff’ to a Sexual Assault counselor. It is this attention to the needs of clients that elevates the Clinic staff to the level of Champions. The question has often begged: are great teachers born or grown? Jureen exemplifies much of both qualities. She is a passionate and enthusiastic teacher who believes every student can, and deserves to, learn and grow – both inside and outside of her classroom. Over the past year, Jureen declared that every student in all her classes would show marked progress in their daily work. She made it a point to establish a relationship with every student. She talks respectfully with each one, valuing them, and what they have to say. 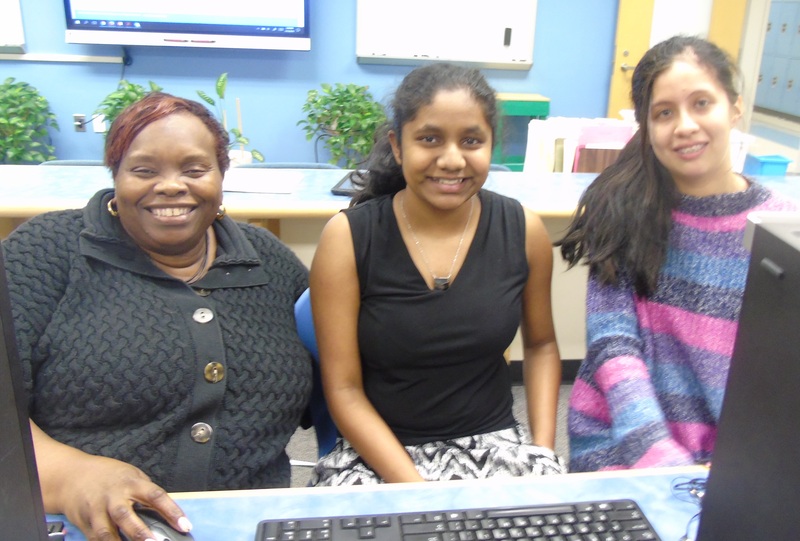 She introduced herself through different assignments that require each student to develop a personal profile in their computer science work. She then memorized all their personal profiles – all 110 students, which enabled her to truly connect with them. Jureen is a special person and an exceptional teacher who exudes very special talents that she likely was born with but also has developed. 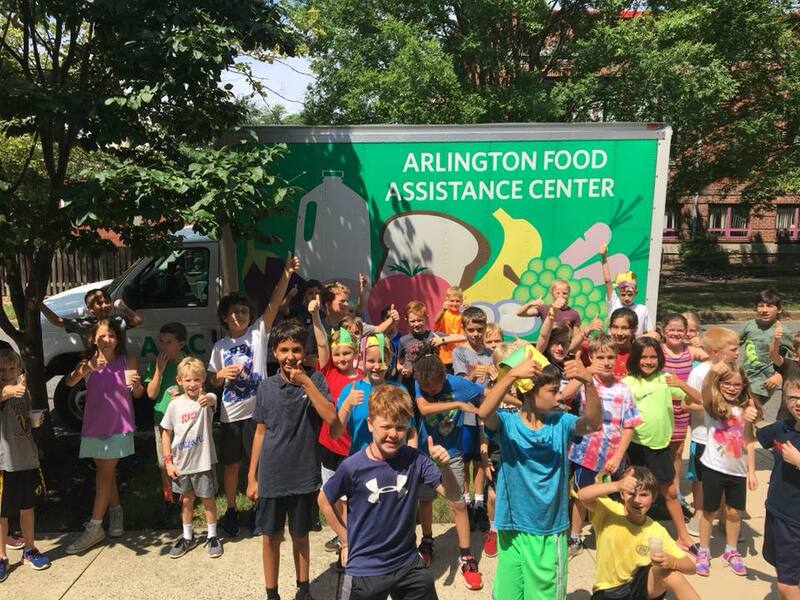 For the past year several years Lisa Cosgrove- Davies has been providing ample opportunities for youth in Arlington to grow, be heard, and be valued. 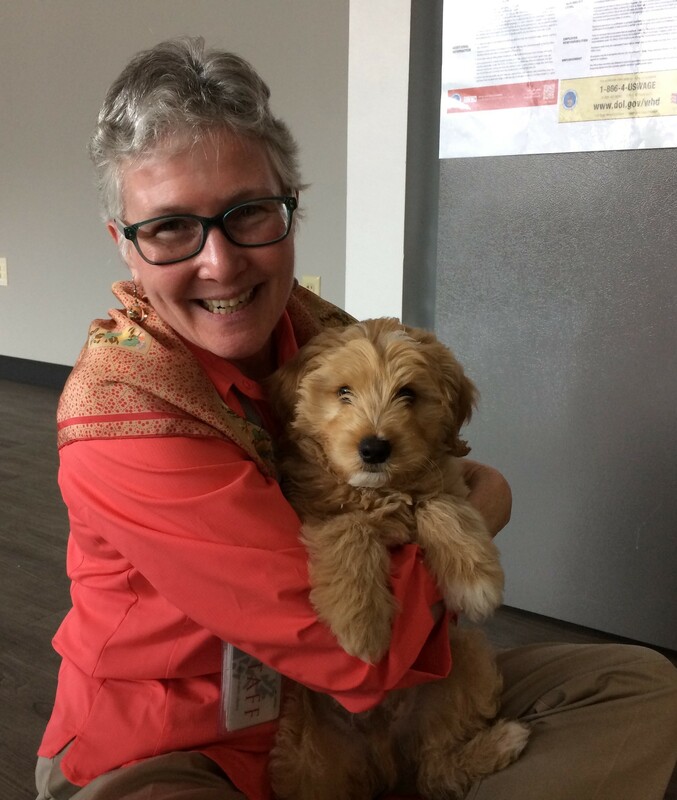 She has been an adult ally to the Teen Network Board at their bi-monthly meetings. She has created study nights for students during finals, and most recently has created a LGBT youth group at Central Library. She brings in speakers during the LGBT youth group meetings and provides the youth with a safe space to share their own hopes, challenges, and successes in a supportive and safe environment. Lisa enables the youth to read what they want, and, more importantly, to express themselves in word, dress, and action. 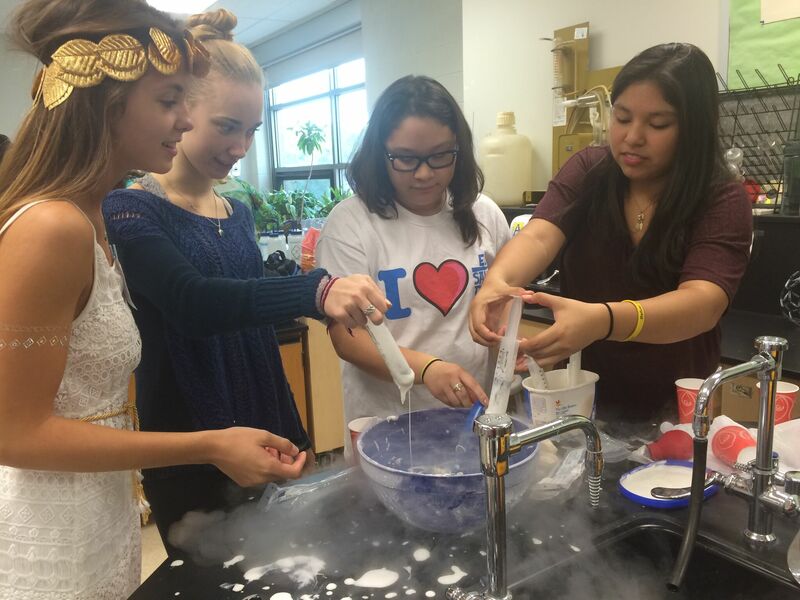 She helps to build a community across Arlington, by encouraging them to with students from other schools. She has also linked up parents of teens to help them better understand the struggles their teens might be going through. 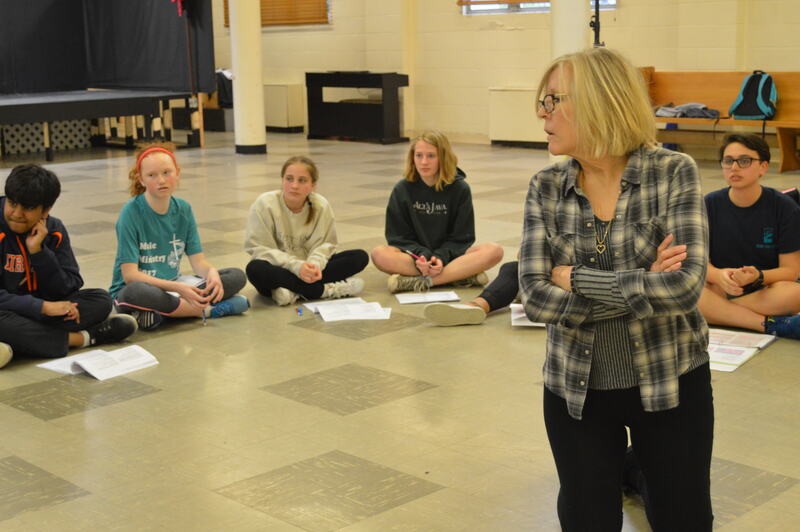 Thanks in large part to Susan’s work as the Artistic Director for Encore Stage & Studio, generations of children in Arlington County have grown up participating in theatre and learning the life lessons of empathy, respect, self-discipline, and mentorship. 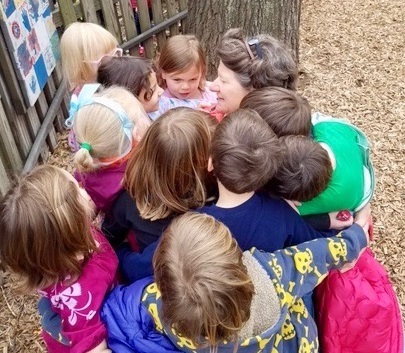 Susan’s position gives her the unique opportunity to interact with children of all ages on a one-on-one level. She consistently creates a safe, creative, fun community so that kids, feel comfortable trying new things. When Susan forms a cast, she ensures that each child has his or her moment in the show to take center stage. She coaches each one through that moment so that the child feels confident and can shine. An Encore director is sufficient when he or she can produce a quality piece of work on time and the kids enjoy the process. A great Encore director can teach some life skills in the process of putting on the show. A Susan-level director can do all of this in ways that Encore hasn’t seen in 50 years of being a children’s theater company. Elsa goes above and beyond every day for her students. She listens to and treats each one as though they are the most important person in the room. 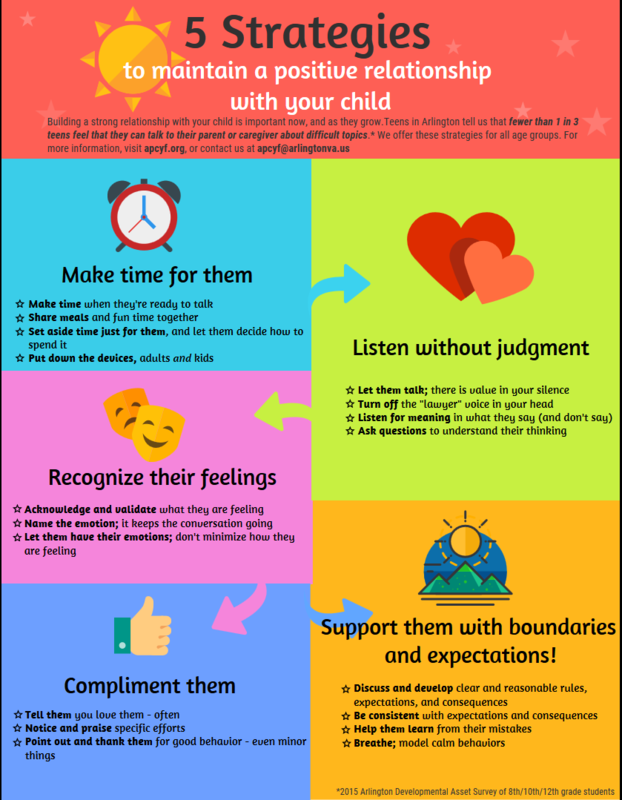 She has a calm and understanding air about her that lets the students know that she will always sit down and listen to them, whether they are asking for advice or just venting. In short, they can tell her virtually anything – and they often do. On some of the students’ hardest days, Elsa is the kind and compassionate adult they know they can turn to, confide in, and trust. While she is expected to support the students during the time they are in program, she also is there for them outside of the program as well. Students contact her regularly for help with a friend or family member; parents ask her for help with other aspects of their children’s lives because they know she has such a good relationship with them. Elsa is the go-to person for so many students on so many levels; she is the essence of what it means for youth to have a caring adult in their life. To learn more about how you can support young people in Arlington, or to find out how to nominate someone as a Champion next year, contact Michael Swisher, Adult Outrecah Coordinator for APCYF at mswish@arlingtonva.us or 703-228-1671. On Friday, April 6, 2017 APCYF Chair Anne O’Brien presented the APCYF advocacy priorities to the Joint School and County Board Session (FY19 Budget Recommendation Letter). Rene Madigan presented on behalf of the Out-of-School Time Council, and two youth presented for the Teen Network Board. 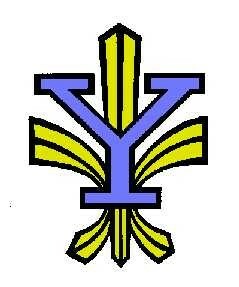 Thanks to APCYF Members John Andelin, Bart Bartholomew, Judy Hadden, and Anne Vor der Bruegge who were able to attend. APS presented first, followed by ACG. Anne O’Brien started at around 9:56, with Rene and the teens right after them. The meeting wrapped up close to 11:30.